There are very few casino games that are as thrilling as three Card Poker. Take this and multiply it five times. That is what you get when you are playing the Multi-hand three Card Poker. This game is a product of leading casino games developer Microgaming. Therefore most of the top online casinos in South Africa will have this game. Although this game offers players a chance to bet simultaneously on five hands it is not at all chaotic. The Multi-hand 3 Card Poker is part of the Gold Class of games. These are premier games from the game’s developer. This game is excellently designed to give a real feel of the casino. Even though played online, Multi-hand three Card Poker gives a live casino experience. The distribution of cards in this multi-hand online casino table game is just the same as in the standard game. Three cards are still dealt by the end of the game and it is these cards that form the final hand. Players still have the option to quit the game at any moment. That is after placing the Ante Bet. When the player decides to continue playing after receiving the first two cards then they can no longer quit. The only difference with the game is that players can play several hands of the game as one player. Seasoned gamblers know the benefits of this. When players play more hands they get more chances to win. Playing many hands of three Card Poker, the player has a better chance to guess the dealer’s cards. 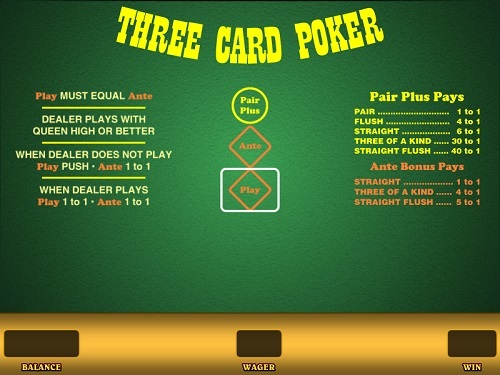 Standard rules of the three card poker apply to the game. Therefore it is essential that players have a full understanding of the game. The thing that makes this game even more challenging is that you get to play as five different players. This requires higher levels of concentration and maybe more suited for the more experienced players. Adventurous newbies will also find this game very engaging. Since the game is a multi-hand casino game players will have to wager on all five hands. This requires a steady bankroll. Multi-hand three card poker can lead to a very quick deflation of a bankroll or some serious wins. It all depends on the strategy you use and of course a bit of luck. Learn how to play poker with Casino ZA.